Okay ladies and gentlemen, it is time to start predicting this year's Oscars. When looking at the field this year, I have a feeling it will be an interesting year. I am not sure if it will be as interesting as last year's Year of Argo. Last year at this time Lincoln and Zero Dark Thirty were the two favorites and we all saw what happen there. Those two films ended up being the biggest losers of last year's race. Will this year be similar? Well, we will find out in the coming months. Here are my current predictions for the big categories at the moment. Right now a lot of people are pointing to Gravity and 12 Years a Slave as the favorites. 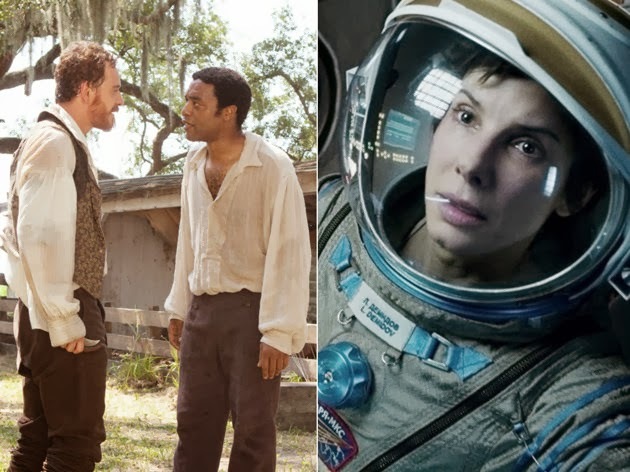 Gravity will go on and win a number of technical awards like Best Cinematography and Best Visual Effects, but unless Bullock pulls out a win Gravity will probably walk away empty-handed in the big races. But, you never know. It could have a big push in the Best Picture category, but at the moment I don't think it will. So, here my predictions for the Oscar nominations. I am also going to give my best guess at who might actually take home the Oscar in each category this year. It is more like a shot in the dark though. So, here they are. My prediction of the winners are in bold. There can be between five to ten movies that can be nominated for the Best Picture category at the Oscars each year. I am predicting that they will pick nine movies this year and this could possibly be one of the most interesting years for the Best Picture category. Gravity, 12 Years a Slave, and Captain Phillips are locks to me. American Hustle and Saving Mr. Banks are looking like solid contenders to me. The Wolf of Wall Street looks like a good possibility, but no one has seen it yet. 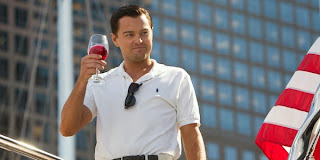 So, unless it is completely awful then The Wolf of Wall Street will probably land a nomination because of the big names that are attached to it. The one that I did not originally think could gain a nomination was Spike Jonze's Her. I thought it looked a good film, but I had a feeling it would be ignored. 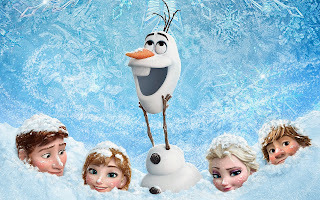 However, the National Board Review just named it as the best film of the year. That is a big deal because the last time a Best Film at the National Board Review Awards did not gain a nomination was in 2000 for Quills. So, I think Her could make it into the race, but it has to gain a following within the Academy, which could be hard for this type of film. 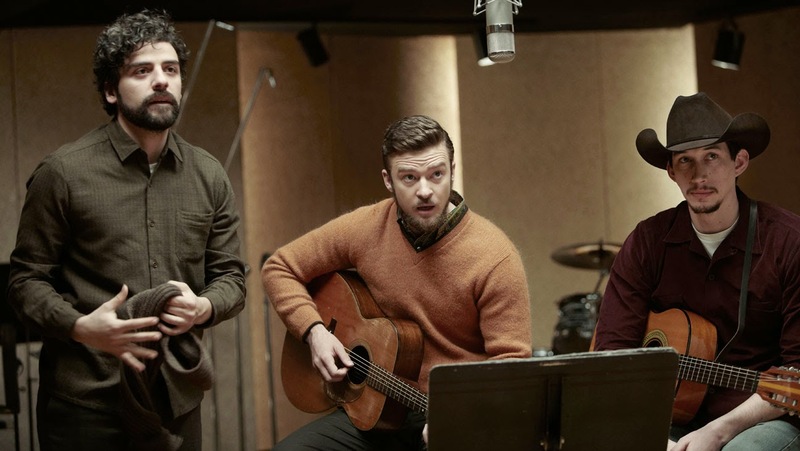 Then you have Nebraska and Inside Llewyn Davis that are gaining a lot of momentum. These two films could end up being favorites if they continue to get a good push. Unless DiCaprio gives one of the best performances of his career, I don't see him landing a nomination this year. The only reason why he might grab one this year is because of the Academy snubbing him last year for Django Unchained. Even if DiCaprio does make it in, he will have to have one hell of a performance to beat the likes of Ejiofer and Hanks who the two major contenders right now. McConaughey is a guy who deserves a nomination and he better get it. Bruce Dern is definitely deserving of a nomination and the buzz around Redford's performance states the same thing. If DiCaprio does slip in, I have a feeling it will be Redford who falls out. Right now though, I feel like Ejiofer will take home the Oscar. He has a lot of great moments, but the one that stands out the most to me is at the very end. 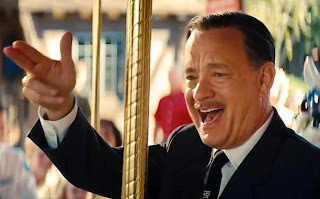 However, do not count out Tom Hanks. 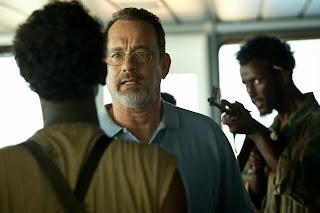 The last fifteen minutes of Captain Phillips is by far the best moments Hanks has ever put on screen. His performance solid and strong through out, but then he takes it all the way home at the end. I think come February, it will be a face-off between Ejiofer and Hanks. The Academy has shown that they are willing to give an Oscar to a past multi-winner (Meryl Streep beating out Viola Davis). I will say this though. Watch out for Matthew McConaughey. Dark Horse: Brie Larson for Short Term 12. I think the two favorites right now are Blanchett and Bullock. Sandra Bullock and the visual effects are what carry Gravity and Cate Blanchett has gained a lot of momentum since the release of Woody Allen's Blue Jasmine. I think Meryl Streep, Judi Dench, and Emma Thompson are all good bets. If this turns out this way, then all of the nominees would have already won an Oscar in the past. The possibly spoiler for that, however, is Amy Adams. The Academy likes her, so she could slip in there. However, it will be difficult. My dark horse for this category of nominations is Brie Larson. She won at the Gotham Awards this year for Best Actress, beating out Cate Blanchett. So, keep an eye on her. Bullock and Blanchett are the ones that everyone is pointing to win. I have a feeling that Blanchett might be the one to take home the Oscar. She is in a Woody Allen movie and he has a phenomenal track record of actors who win Oscars in his movies. So, right now I'm picking Cate Blanchett, but watch out for Emma Thompson. This could be another interesting race because only one of these guys has won an Oscar. All of them are doing well in gaining Oscar buzz. Right now, Jared Leto seems like the favorite for award, but watch out for Hill, Hanks, and Fassbender. Fassbender could get, but it seems like 12 Years a Slave is losing some of it's momentum since the Toronto Film Festival. Hanks could still one if Disney pushes it well enough and Hill is really gaining some buzz for The Wolf of Wall Street. The dark horse in this race, however, is Will Forte. 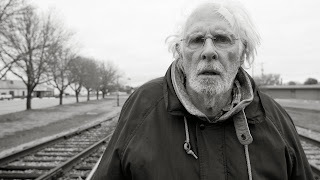 Forte is performance in Nebraska is great and he has great chemistry with Bruce Dern in the film. He has gained a lot of nominations for some of the independent awards and he took home the Best Supporting Actor role at National Board Review. The only one that is not being talked about as much is Barkhad Abdi for Captain Phillips. I think this performance deserves a nomination. He was phenomenal, but the way it looks the Academy will probably overlook him. Right now, I think it is a fight between Nyong'o and Lawrence for the Oscar. Oprah Winfrey was a favorite, but after 12 Years a Slave and American Hustle started to gain momentum Winfrey has fallen by the waste side. She will still gain a nomination. June Squibb could gain a nomination for her hysterical performance in Nebraska. Nebraska has been a favorite in the independent awards, so it could help her move up the ranks. The final spot I think will go to one of two people. It will either go to Octavia Spencer or Julia Roberts, two previous Oscar winners. Spencer has been hit or miss with each award ceremony, so it will be hard to go past Roberts for the final spot. Roberts has a couple of things going for her: she is a name, she has Harvey Weinstein backing her (so does Octavia Spencer and Oprah Winfrey though), and she is in a great ensemble movie. However, she hasn't really been talked about as much as the others. She has not gained many nominations, but once more critics start announcing their winners then we might see her gain some momentum. I think either Saving Mr. Banks, American Hustle, or Blue Jasmine will not make the cut, but I'm not sure. At the moment, I feel that American Hustle will be sitting on the outside looking in. I think the actual award will be more of a fight between Nebraska, Inside Llewyn Davis, or Her. Any of these have a good shot at taking home the Oscar. I'm picking Her for the moment, but it could take a lot for this type of film to get a following in the Academy. This race isn't as strong as the original screenplay race, but it could be interesting. I'm picking 12 Years a Slave to take it, but watch out for The Wolf of Wall Street. I don't have much to say on this category at the moment, but I'm picking Frozen to win. I think it is a fight between McQueen and Cuaron at the moment. McQueen's 12 Years a Slave is a heartbreaking, brutal, and gut-wrenching story about America's past and Cuaron's Gravity is one of the most groundbreaking films of the past decade. Both of them took risks, but it will be interesting to see who comes out on top. John Lee Hancock is gaining some momentum at the moment, but Payne is gaining some big independent awards for Nebraska. Scorsese will probably slip into the nominations as well. However, I would watch out for Greengrass and Russell. Greengrass tells a great story with Captain Phillips and Russell's film is getting a lot of love from certain critics and film societies. So, what do you think? Who do you think will be nominated? Who are your favorites to win? Tell me what you think of this year in film.